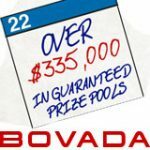 Joe Sebok UB Poker pro has added an exciting new freeroll for poker players to enter for free, the winner of the freeroll will get the opportunity to go skydiving with him in the Nevada desert. 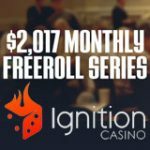 The Joe Sebok Leap of Faith freeroll also has a $2000 prize pool so it's not only the winner that gets a prize. 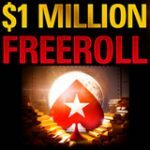 The freeroll will be password protected and players can get the freeroll password 24 hours before the tournament takes place by following Ultimate Bet Poker on Twitter. The Leap of Faith Freeroll will be a series of six events hosted by Team UB poker pros, in the above video message from Joe Sebok he states that he really need you to play this freeroll because there is a competition running between the six UB pros involved. 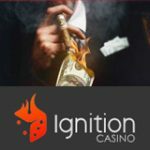 The winner with the most players participating in their freeroll tournament will win a night out in Las Vegas and the UB pro with the least amount of players will have to organize the night out for the winner. Joe Sebok really hopes it's Phil Hellmuth or Annie Duke that loses in their private bet they got going. Joe Sebok joined UB Poker in September 2009 and is really getting involved in making Ultimate Bet Poker the best site to play poker online. He is also a great poker player probably because his step father is Barry Greenstein, who he admires for his poker achievements. 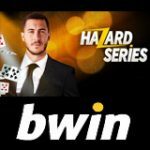 Joe Sebok is also involved in trying to clear UltimateBet Poker bad reputation for cheating, and has threatened to release all the names of players who are guilty of such poker crimes in 2006 - 2007 and refunding players who were affected by it. The UB scandal about superusers like Russ Hamilton who were former Ultimate bet employees that programmed the original UB software and manipulated the software to work in their favor. Superusers could see the hole cards of the other players at the table so it was like taking candy from a baby, no bluff could ever scare them out the pot. Poker players were also highly disgusted by the way UltimateBet handled the whole situation, all this has since changed and the bad apples are no longer involved with UB Poker. 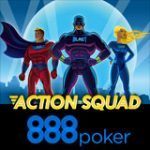 So far Joe Sebok has received many requests from players who were directly affected by superusers although the full list of their user names have not been released, He is determined to make the Ultimate Bet scandal situation right.